Take advantage of this BOGO deal today! The Trail Blazer 3-Piece Camping Utensil Set is so compact and streamlined that it’s easy to just drop in your pack because it doesn’t take up much room. 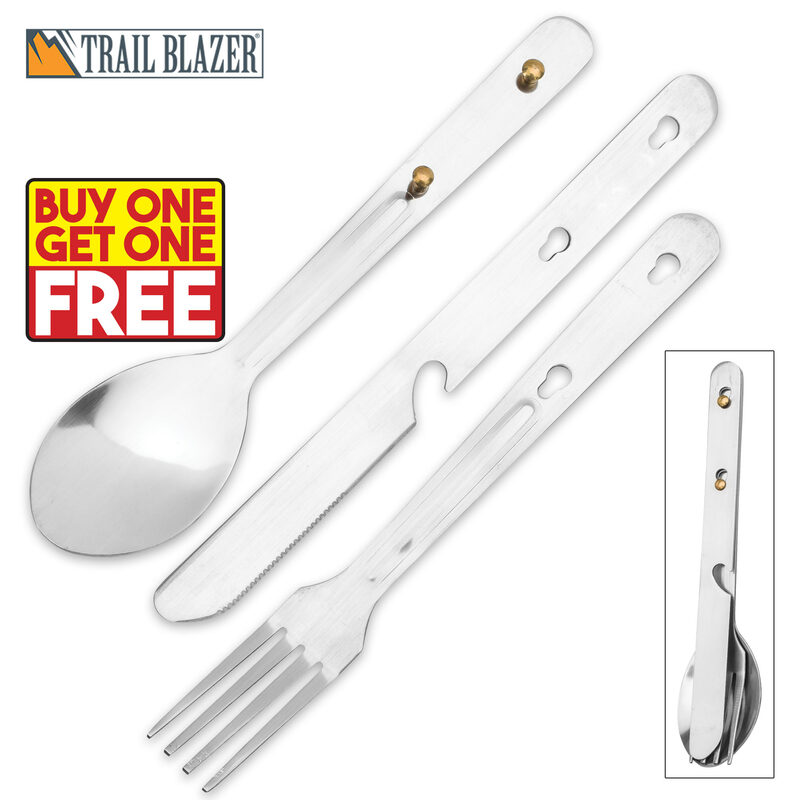 Have the comfort of a decent set of stainless steel dining utensils to eat with when you’re camping. 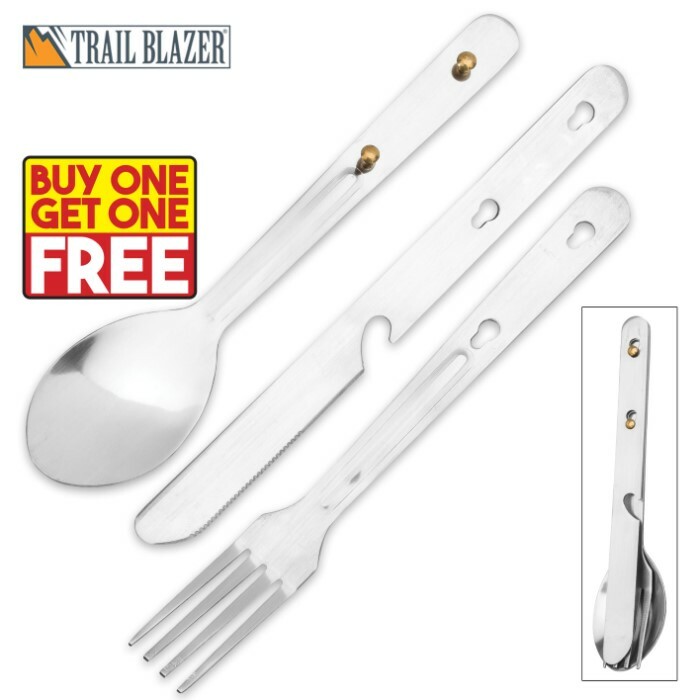 The three-piece set includes a fork, spoon and knife, which has a built-in bottle opener. The entire set clips together and fits neatly into a small storage pouch. Get two sets of the awesome camping utensils - one for you and one for a friend.